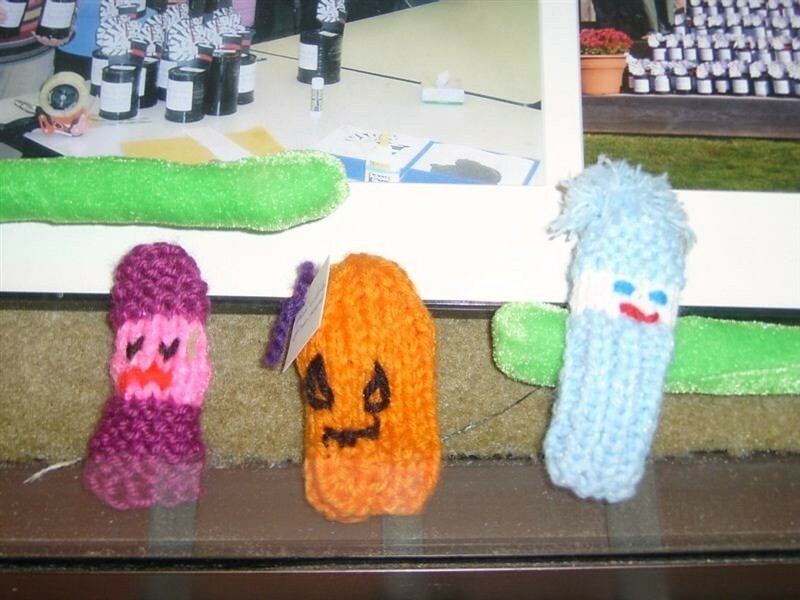 We have members who knit finger puppets. 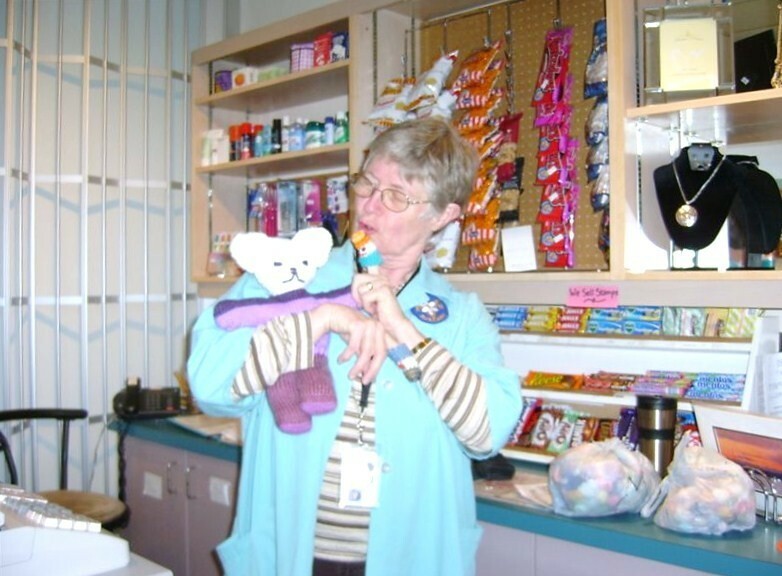 The finger puppets are delivered to the emergency room and lab in the hospital. The puppets are given out to young children to help distract them. 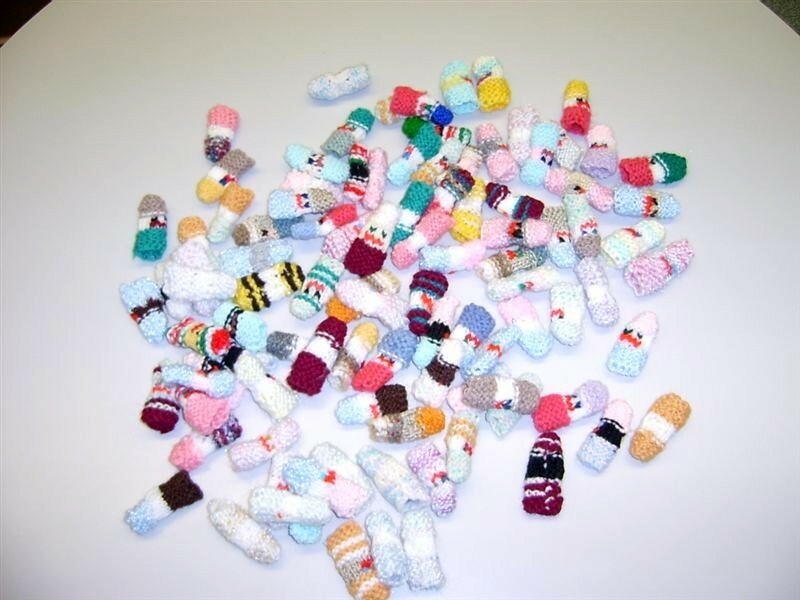 We also give out approximately 1,000 – 1,500 finger puppets at the annual Powell River Sea Fair Parade!